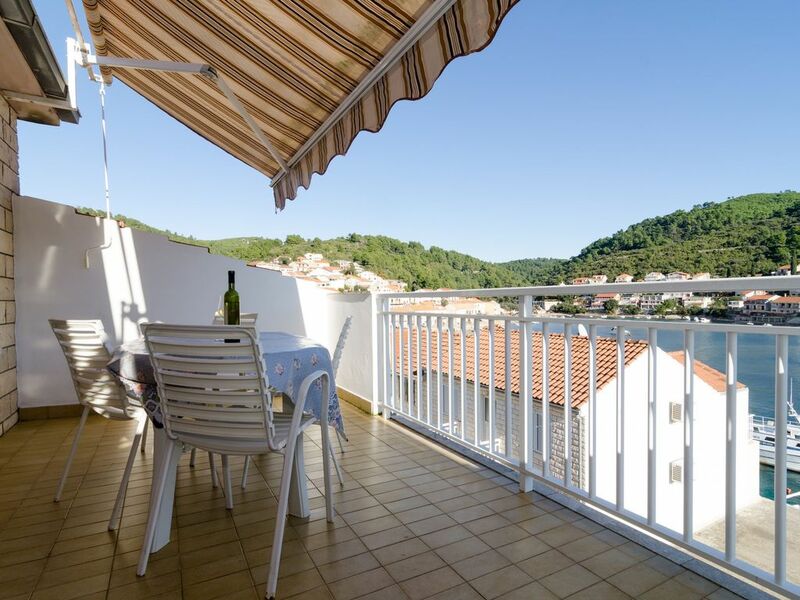 Accommodation Vesna is located 10 m from the sea, 100 m from the center in the town Brna (otok Korčula). This accommodation offers a view of the Sea and green area. Type of beach pebble and concrete slabs. Private accommodation Vesna is ideal for 3 persons and has 1 rooms in the accommodation. Accommodation is equipped with: Heating, Air conditioning, Television, Internet, Baby crib, Iron. To make the hot summer days more bearable in the accommodation there is an Air conditioning. Balcony: 3 m2.br/>Bedroom 1. Terrace/Balcony. The apartment met our expectations. It was clean and well equipped. Excellent Posip. The owner is kind and helpful. Korcula town was fascinating to see for the first time and now it was gratifying experience return. In Brna and its surroundings, you can find all types of beaches, the village offers a relaxed holiday.